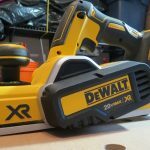 Within the last year DEWALT introduced a new cordless tool to add into their 100+ lineup of 20V MAX cordless tools that they currently offer. 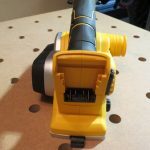 It’s the 20V MAX Brushless Portable Power Planer. 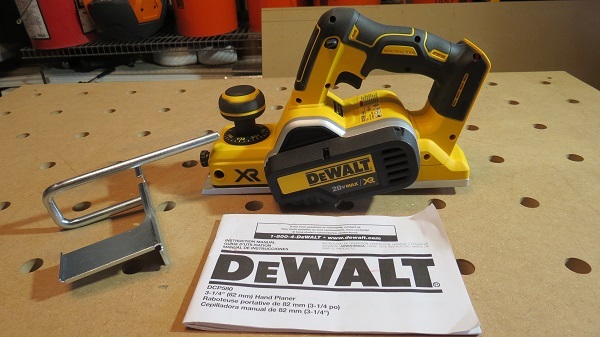 This cordless planer has a width capacity of 3 ¼” and a 5/64” depth of cut. 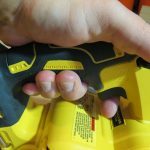 DEWALT focused on the handle to improve the ergonomics of the DCP580B and decrease user fatigue. 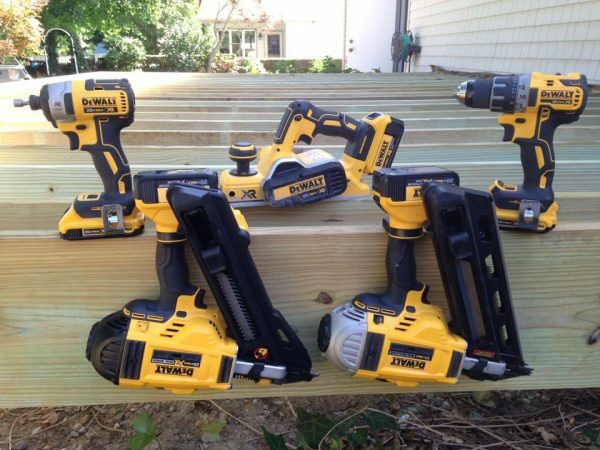 As always, DEWALT built this brushless planer Tough to last in harsh job site conditions. 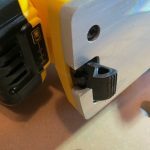 The offset handle placement and the rear loading 20V MAX battery balance out the tool nicely with no wrist fatigue and no complaints from guys on our crew (this tool is a winner already!). 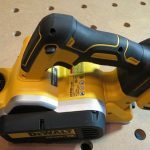 We’ve had the pleasure of reviewing a few of DEWALT’s cordless tools with their over molded grip and let’s just say that DEWALT has perfected this grip. We find it to be not only very comfortable but also safe because it is nonslip in different outdoor conditions. 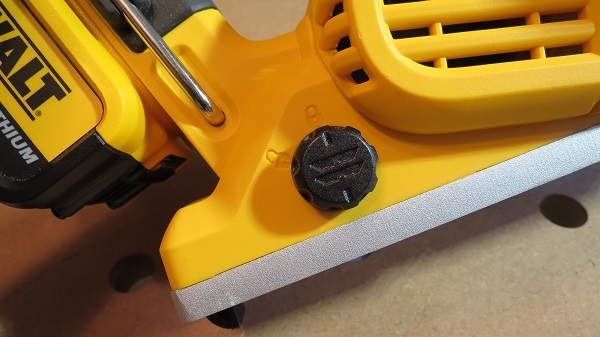 The DCP580B brushless planer has a twin blade drum with a carbide reversible blade. 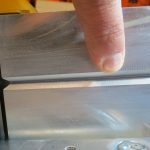 We used the original factory blade on all of our projects and achieved clean planed surfaces on all materials. The adjustment knob is smooth and I like how it clicks every time you increase or decrease the setting. 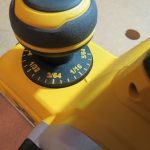 There is also an over mold on the adjustment knob which makes it comfortable and nonslip. 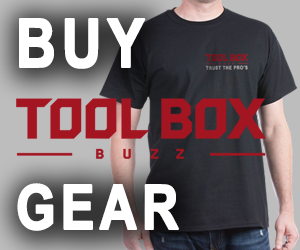 Another sweet feature is the on board torx key and torx wrench storage. Both fit very snug and we never lost them on the job site. There is also internal blade storage at the rear of the tool just below the torx wrench. 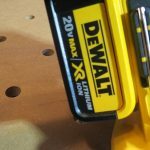 I love when tools have added features like the on board storage. With the DCP580B all you have to do is attach your 20V MAX battery and go. 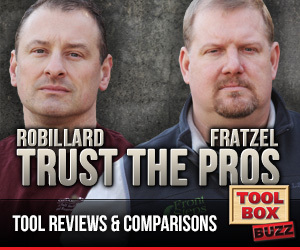 Everything you need for the tool is with you and you’re not tied down to an electrical cord. 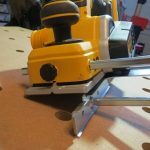 I used the 20V MAX power planer on several projects with absolute flawless outcomes. All of our planing was outside so I unfortunately never had the opportunity to try it out with the dust extraction accessory for the DCP580B, sold separately. 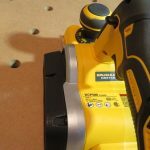 A portable power planer assists nicely in finish work consisting of scribing cabinets, filler strips, counter tops and trim. There are also useful benefits in the rough framing world to bring pieces of rough framing down to a level, square piece of lumber. 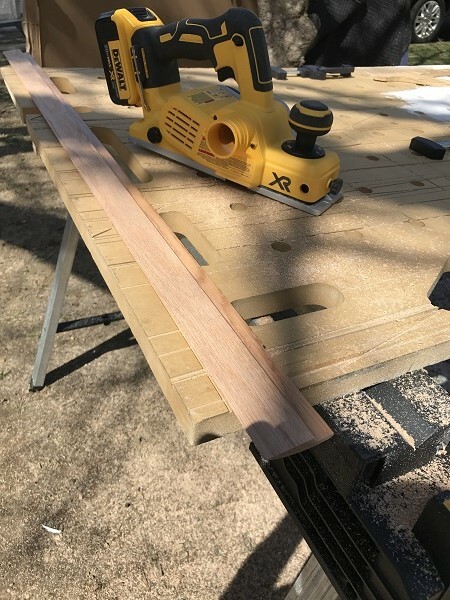 And of course where you would expect to have a power planer assisting you: with door edges, chamfering handrails and/or posts, cleaning and clearing edges, and shaping or tapering wood trim. I’d like to first start off by saying that I never thought we would use the cordless power planer as much as we did. 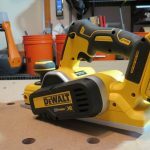 I’ve had the DEWALT (DW680) electric power planer since it was available at your local orange box store and I think its seen as much action as the cordless planer did after only a couple of jobs. The first project was building a triple wide pressure treated beam for a deck project. The 2”x12”s were attached and flush on one side and the other side was just a little (are you kidding me!) off. The flush side was positioned in the metal anchors and secured. 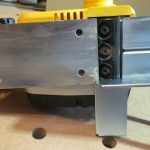 The uneven edge was up and we used the new cordless power planer on it. After a few passes, the beam was level and smooth. Then we wrapped the beam with Grace Ice and Water for further protection on the smooth outer edge. 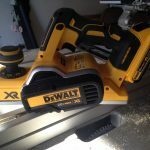 The power planer was also used on other areas of the deck with the same great results. The planer never jammed up with wood chips or shavings. Another project was to taper down an oak transition moulding. We needed 1/2” on one side and 3/8” at the other end of a 42” piece of pre-finished oak. I clamped down the material and let the planning commence. Again, smooth running and plenty of power. Dialing in the front adjustment knob worked effortlessly. We were able to get the exact taper needed with little effort and no extension cord to deal with; just the nice smell of fresh cut red oak. 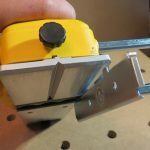 I also used the portable power planer on some odds and ends projects like planing a doors edge, pine trim work and yes, on a piece of AZEK PVC. 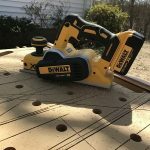 The power planer never bogged down, chipped out material, or gave us any other issues while planning varies materials. All resulted in perfect outcomes to get that exact fit. 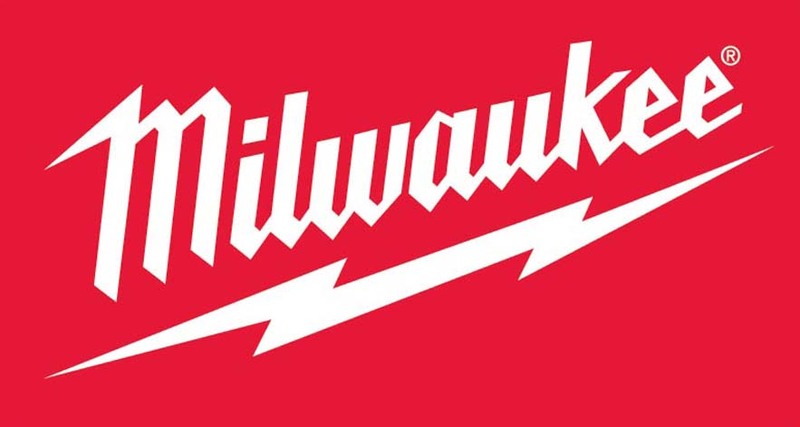 We never experienced lack of power using the 20V MAX batteries from a 2.0 to a 5.0ah. A great feature to mention about the batteries is that you can check the fuel gauge on the battery when they’re connected to the tool. I absolutely love not having to take the battery off of a tool to check its fuel level. 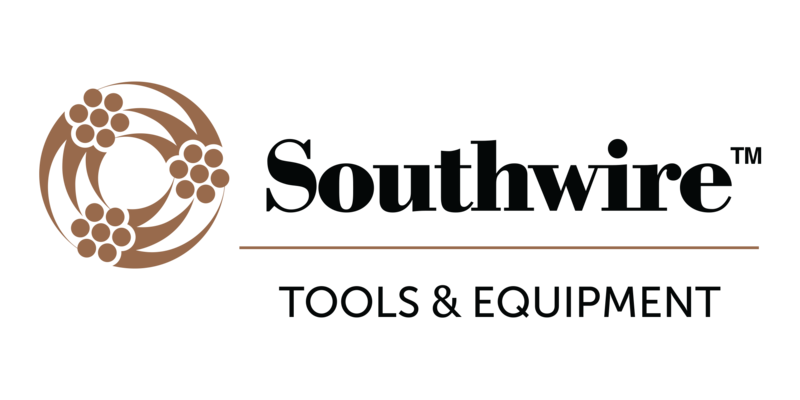 I would love to see this tool in a kit form. I prefer to purchase kit models because they usually come with a charger, 2 batteries, and accessories included. 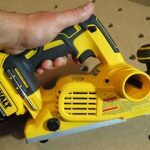 The DEWALT DCP580B in a kit form with the dust extraction accessory would be ideal. 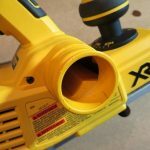 Keeping with OSHA and overall job site cleanliness, dust extraction selling points and this accessory, in my opinion, are a must have and should be included. 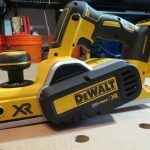 The DEWALT DCP580B has a 3 year limited warranty which includes 1 year of free service and a 90 day money back guarantee.